We are leading manufacturer of Rotary Paddle Dryer. We put forth for our clients Rotary Vacuum Paddle Dryers, which are easy to use and manufactured in compliance with defined industry standards. These are sturdy, wear & tear resistant and require negligible maintenance. We offer these in various specifications to cater to diverse requirements of our clients. With an experience of nearly three decades, in providing solutions for the chemical process industry, Dipesh Engineering Works is ideally placed to offer you well engineered and optimum vacuum dryers to suit your application. 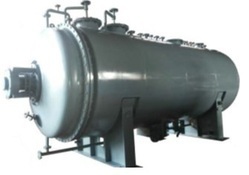 We offer to our honored patrons the first-class range of Rotary Vacuum Paddle Dryer. 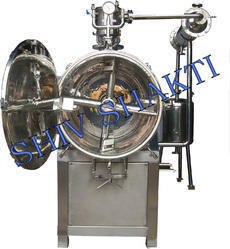 - Rotary Vacuum Paddle Dryer from Cybernetik is a safe and secure method for drying of valuable products. This dryer offers all latest features in vacuum drying including Touch screen MMI for controls. Rotary Vacuum Paddle Dryer from Cybernetik is a safe and secure method for drying of valuable products.